Don’t get caught off guard by the first frost of Autumn! With the first frost hitting the UK, on average, every year at the end of October – beginning of November, we know we have a window of opportunity to protect our plants before the frost strikes. Oftentimes you can’t help the survival of your plants. Seasonal vegetables and plants like petunias, tomatoes, peppers and beans don’t like cold temperatures and are unlikely to survive a frost. 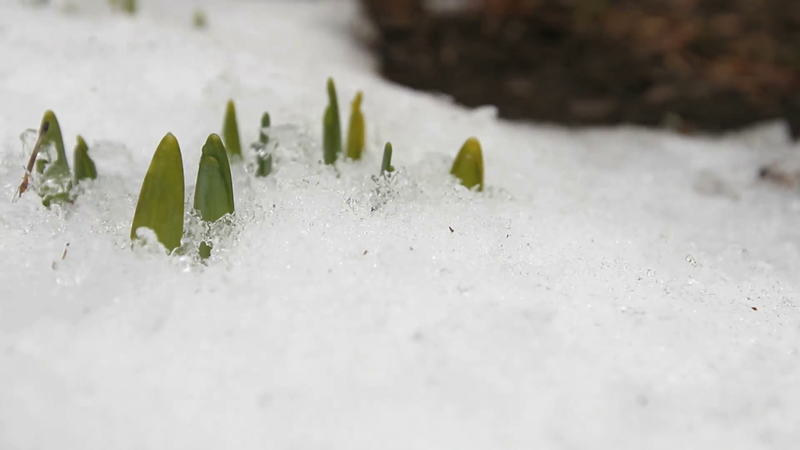 Typically, most bulbs resist the bitter weather, but once they bloom they are a lot more likely to be damaged. The same goes for most vegetables; early season crops may thrive in the cooler conditions but once they start growing they could be devastated by a cold snap. If you have plants that can continue to grow in a container, transport them into a suitably sized container and move them to a place where they can withstand the cold weather – it may be indoors or to a more sheltered place in your garden, but we recommend researching what each of your plants prefers. Get rid of weeds. You may think the frost will kill weeds – but you’d be wrong! Frost simply makes weeds go dormant, which means come spring your first bloom won’t be the beautiful flower you want it to be, it’ll be all the weeds you thought were dead… So we think it’s probably best for you to pull them before the cold weather hits. Applying a good layer of mulch helps to revitalise the soil as the organic soil breaks down over winter, while also keeping the roots and seeds of your beloved plants warm. An alternative to mulch would be to use black plastic to cover the soil in vegetable gardens almost like a blanket, it will lock in moisture and keeps weeds away. If you grow tomatoes, you may find yourself in a panic as you’re still left with green tomatoes left on the vine. Rather than letting them go to waste, cut the vines of the lighter, more translucent green ones and hang them in a dark room – they will soon ripen! Perennials (plants that live more than 2 years) that don’t look their best during the colder seasons, cut them back to just a few inches above the ground for heightened chances of endurance. Finally, give your garden a good watering before the frost, as sometimes plants can die from the lack of moisture rather than the cold! Keep your plants safe this Autumn/Winter!